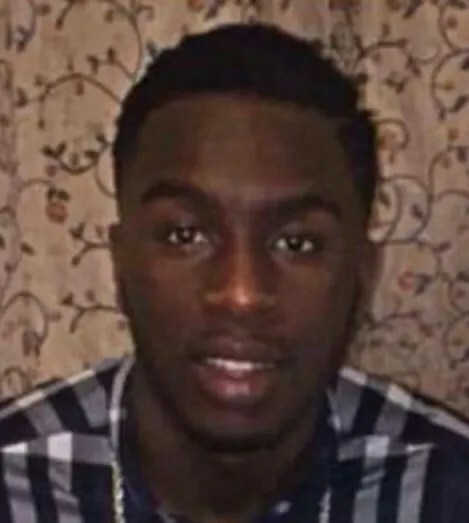 Detectives are continuing to appeal for information about the murder of a man in Stamford Hill who has been named as Elyon Poku. Police were called at around 00:50hrs on 22 September, to reports of a fight at a flat in Wilderton Road, N16. Officers attended along with the London Ambulance Service and London’s Air Ambulance, and found three men suffering serious injuries. Both police and paramedics administered first aid to Elyon before he was taken to hospital with stab wounds. He died at around 04:30hrs. A 17-year-old male was also found with stab wounds. He was taken to hospital with non life-threatening injuries. An investigation has been launched by the Homicide and Major Crime Command, under Detective Chief Inspector Andrew Packer. On Sunday, 23 September two men were arrested in connection with the investigation – a 28-year-old man [A] was arrested on suspicion of murder and a 18-year-old man [B] was arrested on suspicion of affray. Both have since been bailed to a date in late October. On Monday, 24 September there were further arrests; a 29-year-old man [C] and a 16-year-old male youth [D] were both arrested on suspicion of murder. [C] has been released under investigation while [D] has been bailed pending further enquiries to a date in late October. DCI Packer said: “We have been working hard over this weekend to find out what happened at the party and the events that led to Elyon’s murder in the early hours of Saturday. While we have made arrests, we still need the public’s help. “We believe there were more than 200 young people at the party which began on Friday evening and we are need to speak to everyone who was there. Even if you didn’t witness the assaults, you may have some information that can help us determine how Elyon tragically lost his life. Officers are keeping an open mind about the motive for the fight that led to Elyon’s death.